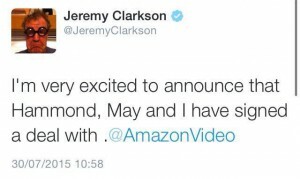 It has been confirmed by Clarkson himself on his Twitter post that the old Top Gear presenters Jeremy Clarkson, James May and Richard Hammond will present a new car show for Amazon Prime Video. The programme is set to air in 2016 and could go head-to-head with the BBC’s revamped Top Gear show presented by Chris Evans. 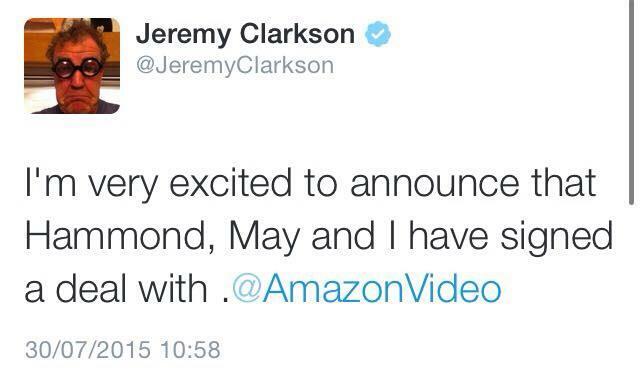 Three seasons have been confirmed so far. Brand new 1997 Yellow McLaren F1 - only 149 miles!